There are potential economic, environmental, and engine benefits of high octane and mid-level ethanol blends. The combination of engine design and increased fuel quality could significantly increase engine efficiency in the production of future light-duty passenger vehicles. The Department of Energy has founded the Optima initiative to collaborate with fuel producers of ethanol and gasoline and the automotive industry to investigate the future fuel and engine designs. Optima’s goal is to reduce per-vehicle fuel consumption by 30 percent by 2030 using a combination of improved fuels, growth of the bio-economy, and alternative vehicle technologies. If the Optima initiative achieves its goal, it could reduce petroleum consumption by 4.5 billion barrels and save consumers up to $50 billion. 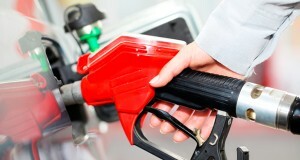 The octane rating is a measure of a fuel’s ability to avoid knock. Knock occurs when fuel is prematurely ignited in the engine’s cylinder, which degrades efficiency and can be damaging to the engine. Before the introduction of unleaded gasoline in the mid-1970s, these ‘antiknock’ properties were provided by lead. The 1990 Clean Air Act amendments fully banned the use of lead in gasoline in the United States. Today, the octane boost to prevent knocks is provided by gasoline aromatics, which comprise more than 25 percent by volume of each gallon of gasoline.8 The primary sources of octane are petroleum refinery products, and ethanol. At most retail gasoline stations, three octane grades are offered, 87 (regular), 89 (mid-grade) and 91-93 (premium). The higher the octane number, the more resistant the gasoline mixture is to knock. Use of higher octane fuels enables higher compression ratios, turbocharging, downsizing/downspeeding, all of which enable greater engine efficiencies. Currently, high-octane fuel is marketed as ‘premium,’ but future combustion engines may require higher octane fuels to reach even greater engine efficiencies and higher mile-per-gallon ratings. At ORNL, researchers are investigating the benefits of ethanol as a renewable octane provider. The blend wall is the threshold where the total volume of ethanol used surpasses 10 percent. This will require investment in gasoline infrastructure and compatible vehicles to utilize an E15, E25, and or an E40 blend. Also, owners of a large number of gas stations are unlikely to begin offering ethanol blends above 10% until there is market penetration of about 20% of retail fueling stations. Vehicle manufacturers can optimize engine efficiency to suit various octane levels, but this has to be timed with the rollout of higher octane fuels. Vehicles that are not compatible with higher octane fuels can suffer from poor performance and even engine damage. Investments and decisions about fuel availability and infrastructure on the one hand and vehicle development on the other are made by private players in different industries, so coordination is difficult.